Scholastic has announced a partnership with American Girl to create a series of book based on the popular American Girl dolls. The multi-year license will feature books based on American Girl's Girl of the Year and BeForever lines. 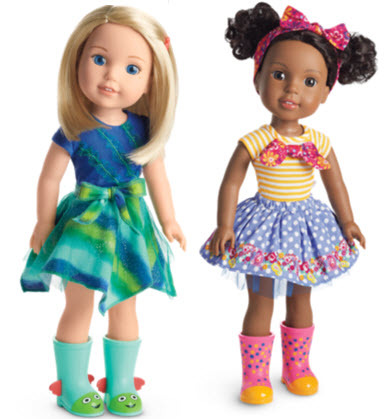 This is the first time that American Girl has licensed the right to create books based on dolls. American Girl fans (who number in the millions worldwide) are going to have a lot of reading to look forward to. The books will be aimed at girls ages 5-12 in a variety of formats. The books will be sold and marketed worldwide. There will be fictional titles based on the Girl of the Year series of dolls, as well as a nonfiction chapter book series which will be based on the BeForever historical line. Other products will includes original book series for middle grade, chapter book and reader categories. There will also be lots of other formats that will be perfect for gift giving, such as journals, treasury books and yearbooks with quizzes and activities.